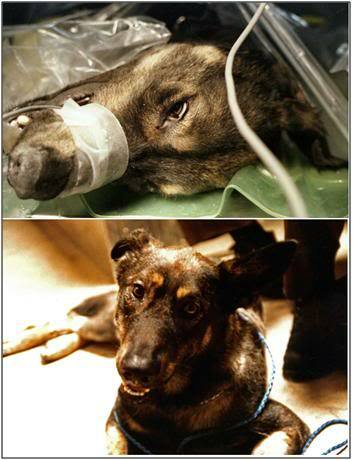 Figure 1: Enkidu, Alcor/Cryovita canine total body washout (TBW) # 2. At top, Enkidu lies chilled to ~5○C, his blood replaced with a specially designed preservative solution (perfusate), near the end of his 4-hours of cold, bloodless perfusion. The perfusate used was hyperosmolar and this resulted in dehydration of the aqueous and vitreous humors of the eyes resulting in ocular dehydration given the globes of the eyes of a flaccid and sunken appearance. Below, Enkidu 24 hours after reperfusion with blood and rewarming to normothermia. The history of Alcor during the period 1983 and 1991 can be subdivided into two eras. The first was 1983 to 1987 and the second was from 1987 to 1991. The first era was the time period during which the most remarkable and enduring technical and administrative accomplishments occurred, despite the fact that there was very little cash flowing into or otherwise available to either Cryovita or Alcor at this time, and that there were virtually no paid staff. There were many reasons for this, and I feel certain that I will not succeed in identifying them all here. Certainly one material factor was our ability to focus our efforts on research, technical matters, and core administrative development without distractions, and in a quiet, peaceful environment. Alcor neither sought nor had a significant media presence during these years and in fact, both Jerry Leaf and I were actively hostile to media coverage of the activities of Cryovita and Alcor. The staff was small, cohesion and sense of shared mission was present, and the character and quality of activist recruits was uniformly high. Whilst money was scarce, there were neither distractions nor conflicts that interfered with its focused application. In the decades that have passed since those days, I have had the opportunity to observe, first-hand, the workings of many enterprises of many kinds, the world over. My experience in this respect was much more limited before and during 1991. Most of the companies that I did interact with were at least “sanely” operated in that it was uncommon to observe blatantly self destructive or even criminal behavior. Many regulations were flouted, but usually not in what I would describe as in suicidal or careless ways. My experience in this regard may be an artifact of the kinds of businesses I was dealing with, and in their location. These experiences have altered my attitude towards to government regulation. First, the anger and outrage these experience have provoked in me have created a strong desire to see to it that such callous disregard for human life do not go uncorrected. Second, I have observed that much of the most basic regulation and code enforcement are carried out with at least a modicum of common sense and flexibility and that, despite its many shortcomings, basic government regulation at the community level is effective at both reducing the number of scofflaws, and educating businesses in what they need to do to have a reasonably safe, or at least not overtly dangerous, workplace. In short, I have become to believe that an unacceptably large cross-section of the business community is (mix and match as appropriate): ignorant, expedient, lacking in common sense, in denial, careless, negligent, and in some cases criminally indifferent to even the most fundamental elements of workplace safety; pretty much in that order. Behave badly, and someone is likely to come mind your business for you. I’ve engaged in the above digression because I believe that one very significant reason for the fast pace of progress from 1983-1997 was that we were left unmolested. The fire department came and saw our non-permitted construction, but also saw that it was safe and sound and met UBC. They noted that we had extension cords running many places, including on the floor; but they also noted that where they trod upon, they were covered with vinyl protectors and that they conducted power not to space heaters or motors, but to low wattage analytical equipment, or to briefly and intermittently used devices like a sternal saw or a video recorder. It was a different time and place; an era where regulation was flexibly interpreted to accommodate both common sense and people who were acutely aware of their infrastructure shortcomings and were working to mitigate, or improve them. 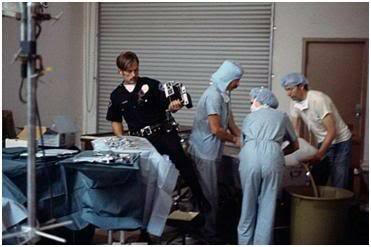 When Cryovita received its first patient for perfusion and freezing the coroner and the police were called by a nosy neighbor. They came, they photographed, they pondered the law, and they left. 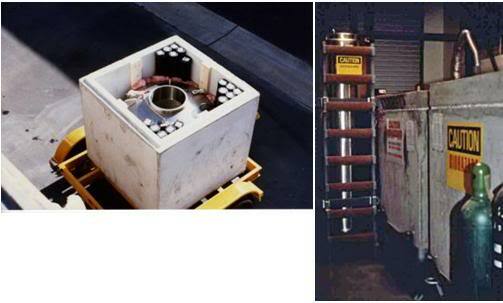 Years later, in the dead of night, we were unloading a dual patient dewar from a Ryder rental truck (the HiCube, the same style used by Timothy Mc Veigh to blow up the Murrah Building in Oklahoma City) transported at ~45 degree angle from Emeryville, in Northern California. The dewar’s castered cradle barely fit onto the sloping lift gate and it was heavily belayed to the truck with ropes to prevent a mishap. As the dewar was moved from the box of the truck and positioned on the lift gate, the jostling liquid nitrogen inside began to aggressively boil. It was a warm, humid night in North Orange County and clouds of steamy vapor began to issue from the top of the dewar. On routine patrol, a Fullerton Police Department cruiser pulled up and stopped in the driveway ahead of us. The two uniformed officers got out and said, “Wow! that is really neat! Do you mind if we watch?” Of course we didn’t mind. They sat and watched the 15 minute unloading in respectful silence, seemingly aware of the difficulty and risk attending the operation. When we were done, they thanked us, asked a few questions and left. I can still see them in my memory driving away in the midnight moonlight. Because we had little media interface or attention during that time, and because we were free to focus exclusively on the things we deemed both important and possible to do, we were free to progress as fast as our capital and our abilities would allow. The move from Fullerton to Riverside in 1987 seemed rich with promise. The new facility offered more space, improved credibility, and increased cash flow – the last as a result of reducing the expense of rent, insurance and the increased member support due to the “mobilizing effect” of the insurance crisis. However, the move to Riverside signaled the end of invisibility and of “flying below the radar.” When the Dora Kent incident began to unfold in the closing days of that same year, the era of tranquil progress was over, in part because of the media and government assaults that followed, but also to a significant degree because of the way we ultimately responded to them. Figure 3: In 1990 Dr. Thomas Donaldson, a long-time Alcor member and an important thinker and activist in cryonics sued the Attorney General (AG) of the state of California for the right to be cryopreserved while still legally alive. 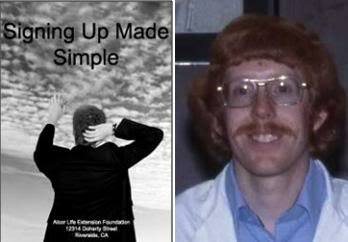 Dr. Donaldson had been diagnosed with a Grade II astrocytoma in 1988, a usually lethal malignant brain tumor. Dr. Donaldson responded well to a course of radiotherapy, but ultimately succumbed to the cancer and was presumably cryopreserved in 2006. The suit against the AG was unsuccessful. There can be no question that Alcor had to respond, and respond exactly as it did, to both the Dora Kent and DHS cases. To have done otherwise would have destroyed Alcor and very likely some or all of its patients. The successful outcome of these, and associated legal cases, resulted both in membership growth and in lasting high public visibility for Alcor. With those changes came an alteration in asset allocation and in priorities. Alcor became focused on growth over both research and improved technical and biomedical performance. In addition to its intrinsic justice, the litigation launched against the California Attorney General by Alcor and Thomas Donaldson to allow “pre-mortem” cryopreservation was seen as promotional tool, and as a potential practical bonanza, should Donaldson have prevailed and cryopreservation prior to legal death become permissible in California. 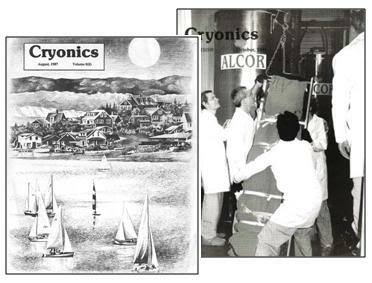 With the sudden and unexpected cryopreservation of Jerry Leaf in July of 1991, the die was cast, and Alcor became almost exclusively focused on matters other than research or charitable activity, inside or outside the cryonics community. Figure 4: Spreadsheet of some of Alcor’s financial parameters from fiscal year ending 1984 through the end of fiscal year 2007. 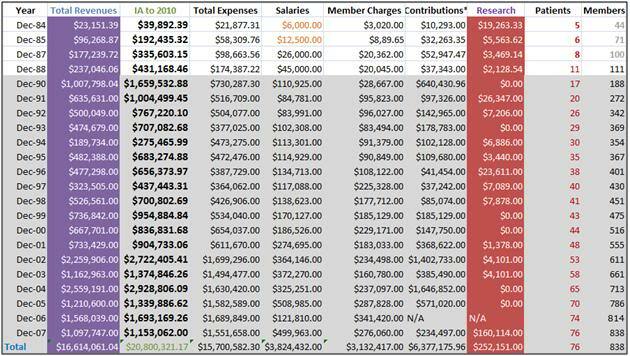 The total revenues column in highlighted in purple and the expenditures for research column is highlighted in red. Expemditures for research as a fraction of total revenues declined dramatically after the Dora Kent crisis in 1988. In the ensuing 19 year expenditure for research remained a tiny fraction of Alcor’s total revenues, and with the exception of three years, failed to even approach in absolute dollar amounts the yearly disbursements for research in the years prior to 1988. This shift in priorities was by no means subjective, or a matter of opinion. It is reflected in Alcor’s financial reports, as can be seen in Figure 4, above. The reality, in terms of the impact on research productivity, was actually much grimmer in terms of value returned for the few research dollars expended after 1988, because of two factors which do not appear on any balance sheet generated to date; the absence of donated labor and the end of the era of free parenteral products, drugs and medical consumables recovered from the medical/drug supplier waste-stream. Figure 5: Alcor’s all-volunteer research team provided an otherwise unaffordable asset in the form of thousands of hours of contributed labor in support of Alcor’s various research undertakings. Another development which increased costs and decreased the buying power of research dollars was the effective end of “pound seizure” in the closing years of the 1980s in Southern California. Pound seizure is the process whereby animals slated for destruction in municipal impound facilities, primarily dogs and cats, were sold, for a small fee, to federally licensed animal research facilities. This practice was effectively eliminated by animal rights activists, although a few cities and counties still have pound seizure laws on the books. The end of pound seizure raised the cost of research dogs from ~$60.00 in the early 1980s to ~ $600 by the mid-1990s. Animal rights activism also dramatically raised the cost of non-rodent animal research by requiring costly infrastructure and specialized training and certification of personnel. Thus, even the very small amounts expended on research as compared to the 1980s, both relatively and absolutely, had greatly reduced buying power. What follows is a listing of what was achieved by Alcor from ~ 1982 to 1990 for an estimated total of $1,772,081 in 2010 dollars. 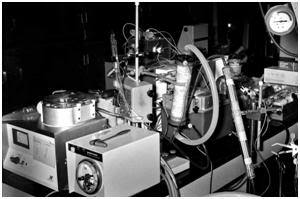 Beginning in 1982, Alcor continued the research to establish the degree to which ultrastructure was being preserved using existing human cryopreservation techniques begun by IABS in the late 1970s. The work at IABS employed rabbits, however it was decided to use cats as the experimental animals in the Alcor work because of the previous work done on brain cryopreservation by Isamu Suda and because it was anticipated that this work would progress to the evaluation of brain viability using electrophysiology – a model that was, at that time, largely confined to the cat. This research disclosed a number of previously unknown and unexpected findings, including the presence of macroscopic fractures in the animals as a result of cooling to below the glass transition point (Tg) of the water-cryoprotectant solution present in the tissues, as well as much more serious ultrastructural disruption due to freezing damage, than was previously expected. This work constituted the first comprehensive evaluation of human cryopreservation techniques and was also the first to examine the effects of ischemia on cryopreservation injury. Leaf and Darwin believed that cryonics procedures should be validated in-house to the extent that it was technologically possible to do so. 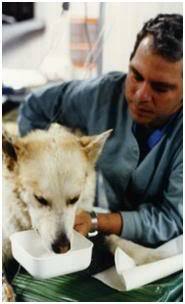 Building on the pioneering work of Gerald Klerbanoff and his associates at Lackland Air Force base,[9-13] Alcor and Cryovita undertook to apply the technology being developed for extended hypothermic solid organ preservation (for transplant) to whole animals. In the early 1980s, the use of “intracellular perfusates,” principally Collins’ Solution, [14-18] and what was later to become University of Wisconsin (UW) solution,[19, 20] was allowing for 12-24 hour cold storage of human kidneys, livers and pancreases. An experimental solution which had demonstrated even better results at the Red Cross Blood Research Laboratory, Renal Preservative Solution-2 (RPS-2) was adapted for use on dogs. This solution, Mannitol-HEPES Perfusate-1 (MHP-1), allowed for the consistent recovery of dogs from 4 hours of perfusion at ~5○C without neurological deficit and with uneventful survival of the animals into old age. The record of 4 hours for asanguineous ultraprofound hypothermic perfusion remains unbroken today. By carrying out autopsies and conducting histological and ultrastructural studies on the bodies of human patients converted from whole body cryopreservation to neurocryopreservation, Alcor was the first to discover that the macroscopic fracturing of organs and tissues that were occurring in experimental animals were also occurring in human patients. This work demonstrated that existing perfusion techniques were not delivering an adequate amount of cryoprotectant to the tissues. It was also the first demonstration that at the histological level, 3M glycerol was effective in preserving tissue architecture in a state indistinguishable from that of seen in unfrozen humans. In 1983 Alcor developed a silicone heat exchange medium as a replacement for flammable alcohol, acetone and methanol, all of which has been previously used as heat exchange media for cooling cryonics patients. This non-toxic, low flammability liquid was later marketed by several firms, including Dow Chemical, the original supplier of the polydimethylsiloxane species used by Alcor as its low temperature heat exchange medium. The Dow product is currently sold under the brand name Syltherm. A wide range of technical and scientific advances resulted from Alcor treating each human case as what it was; an experimental procedure to be learned from by careful observation and documentation of data. 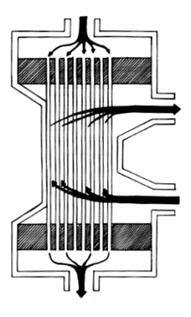 Observations of the inadequacy of conventional closed chest mechanical cardiopulmonary support (CPS) led to the development and application of High Impulse CPS. Observations showing unacceptably slow rates of cooling with ice bags led to the development of the Portable Ice Bath and profound improvement in the efficiency with which hypothermia was induced. Alcor also pioneered pharmacotherapy to mitigate the ischemia-reperfusion injury cryonics patients necessarily suffer as a result of having to wait for the pronouncement of medico-legal death prior to the start of the procedure. Alcor applied research led to the development of a field-able platform for rapid post-cardiac arrest extracorporeal support of cryonics patients. Leaf, J.D., Phases of cryonic suspension. Lecture given at the Lake Tahoe Life Extension Festival, Lake Tahoe, CA,May, 1986: http://www.lifepact.com/tahoe.htm [68 minutes, 263 mb, .wmv, 320x240, 30 fps]. Alcor pioneered high efficiency storage for cryonics patients with the use of the MVE A-2542 cryogenic dewar for storing neuropatients and the subsequent development of the “bigfoot” dewar which can store four whole body patients and 4 neuropatients. 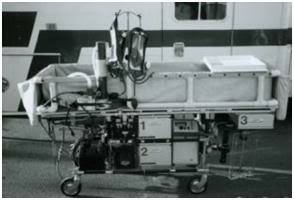 Alcor was the first cryonics organization to offer seismic, ballistic and blast protection to its patients with the development of the “neurovault” in 1984. 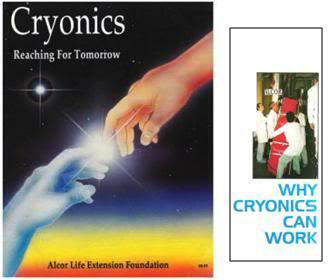 Charitable Cryonics Care Alcor engaged in considerable charity work during the 1980s taking over the care of three unfunded patients and assisting two other patients with inadequate funding into cryopreservation. This record of charitable cryogenic care of patients in need is unique to Alcor through to the present. Throughout the 1980s and into the 1990s Alcor engaged in a vigorous program of public education and of the promotion of cryonics. Speaking engagements and outreach to the community were commonplace and an extensive package of scientific, technical and organizational information was mailed out to anyone who requested it. Alcor also pioneered paradigm shifting ideas in the promotion of cryonics, not the least of which was the excision of the words “death” and “dead” from discussions regarding the status of cryonics patients. This period was also one of great growth in the technology for providing in-field support of patients experiencing cardiac arrest remote from Alcor’s facilities. Alcor conceived of an implemented the idea of remote standby and was the first cryonics organization to offer extended extracorporeal support during ultraprofound hypothermic transport of patients. Similarly, Alcor was the first cryonics organization to develop facilities for remote cryoprotective perfusion with the creation of the Alcor facility in South Florida. Editorial Staff. Alcor Coordinators: training and equipment deployment. Cryonics. 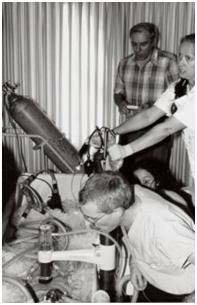 7(1);2-4:1986: http://www.alcor.org/cryonics/cryonics8601.txt Retrieved 2010-08-31. 1. Loftus P: Whistleblower’s Long Journey: http://online.wsj.com/article/SB10001424052702303443904575578713255698500.html. In: Wall Street Journal. 2010. 2. National News Briefs; Schering-Plough Recalls Medication for Asthma: http://www.nytimes.com/1999/12/03/us/national-news-briefs-schering-plough-recalls-medication-for-asthma.html. New York Times 1999. 3. Darwin M: Multiple articles relating to the Dora Kent case: http://www.alcor.org/cryonics/cryonics8801.txt. Cryonics 1988, 9(1):1-35. 4. 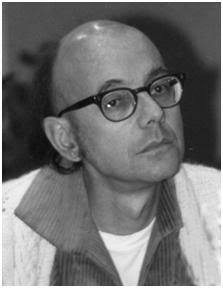 Wikipedia: Thomas K. Donaldson: http://en.wikipedia.org/wiki/Thomas_K._Donaldson. In. ; 2011. 5. Mondragon C: A stunning legal victory for Alcor: http://www.alcor.org/Library/html/LegalVictory.html. 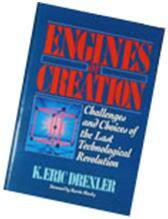 Cryonics 1990, 11(11):3-7. 6. 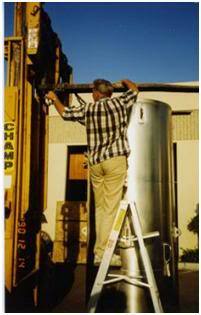 Darwin M: Jerry Leaf enters cryonic suspension: http://www.alcor.org/cryonics/cryonics9109.txt. Cryonics 1991, 12(9):19-25. 7. Hecht L (ed. ): Pound seizure: when will it end :http://www.banpoundseizure.org/ps2.pdf. Park City: Citizens for Alternatives to Animal Labs. 8. Hubel D: Animal rights movement threatens progress of US medical research. The Scientist 1993, 7(22):11. 9. Cline RE, Klebanoff G, Armstrong RG, Stanford W: Extracorporal circulation in hypothermia as used for total-body washout in stage IV hepatic coma. Ann Thorac Surg 1973, 16(1):44-51. 10. Haff RC, Klebanoff G, Brown BG, Koreski WR: Asanguineous hypothermic perfusion as a means of total organism preservation. J Surg Res 1975, 19(1):13-19. 11. Klebanoff G, Hollander D, Cosimi AB, Stanford W, Kemmerer WT: Asanguineous hypothermic total body perfusion (TBW) in the treatment of stage IV hepatic coma. J Surg Res 1972, 12(1):1-7. 12. Klebanoff G, Langdon D, Wilen S, Tobias H: Total-body washout in hepatic coma. N Engl J Med 1973, 289(15):807. 13. Klebanoff G, Phillips J: Temporary suspension of animation using total body perfusion and hypothermia: a preliminary report. Cryobiology 1969, 6(2):121-125. 14. Carter JN, Collins GM, Halasz NA: Subzero nonfreezing kidney preservation. Transplant Proc 1981, 13(1 Pt 2):718-720. 15. Collins GM, Bravo-Shugarman M, Novom S, Terasaki PI: Kidney preservation for transplantation. I. Twelve-hour storage in rabbits. Transplant Proc 1969, 1(3):801-807. 16. Collins GM, Halasz NA: Forty-eight-hour ice storage of kidneys: importance of flush solution cation content. Surg Forum 1975, 26:337-338. 17. 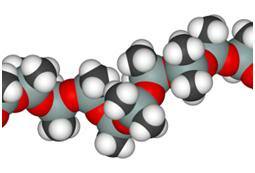 Collins GM, Halasz NA: Forty-eight hour ice storage of kidneys: importance of cation content. 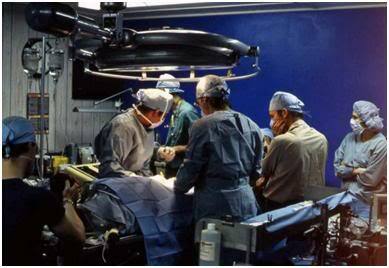 Surgery 1976, 79(4):432-435. 18. Hartley LC, Collins GM, Clunie GJ: Kidney preservation for transportation. 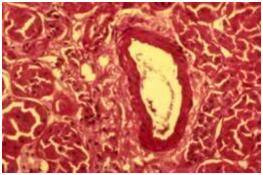 Function of 29 human-cadaver kidneys preserved with an intracellular perfusate. N Engl J Med 1971, 285(19):1049-1052. 19. Belzer FO, Glass NR, Sollinger HW, Hoffmann RM, Southard JH: A new perfusate for kidney preservation. 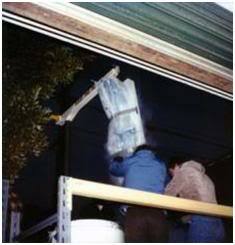 Transplantation 1982, 33(3):322-323. 20. Southard JH, Belzer FO: Control of canine kidney cortex slice volume and ion distribution at hypothermia by impermeable anions. Cryobiology 1980, 17(6):540-548. 21. 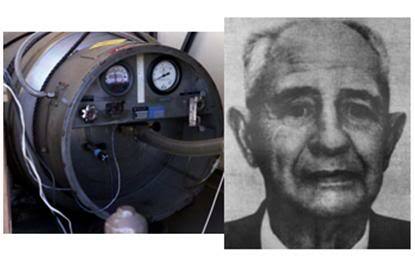 Haworth WS: The development of the modern oxygenator. Ann Thorac Surg 2003, 76(6):S2216-2219. 22. Karlson KE, Massimino R, Singh AK, Cooper GN, Jr., Moran JM: Initial clinical experience with a more efficient hollow fiber oxygenator of unique design. J Cardiovasc Surg (Torino) 1987, 28(4):384-387. This entry was posted in Cryobiology, Cryonics Biography, Cryonics History, Cryonics Philosophy, Cryonics Technology (General), Culture & Propaganda. Bookmark the permalink. The 80s certainly seemed like a wonderful time to be involved in cryonics and Alcor. When I got out of the military in the early 80s, I received a job offer on the phone as I was being debriefed by the military in Southern California. I almost stayed there in the California, but instead went back home to Texas. By 1987 I was already interested in cryonics. Maybe if I had stayed in California, I could have been involved in Alcor in that time frame. On another note, you return once again to the Dora Kent affair. As before you defend your actions, and you do so without qualification or weighing the possible choices that were not taken. Doesn’t that type of perspective run counter to the idea of objectively weighing matters, without emotion, and exposing the truth, no matter what happens afterward? Isn’t that the sort of approach you espouse? I wish I could take credit for how the Dora Kent affair was handled by Alcor, but I’m afraid I can take very little credit there. I was not defending “my actions” vis a vis Dora Kent, I was defending Alcor’s. My actions re Dora Kent pretty much came to a halt following the raid on the Alcor facility, and the arrest of the 6 people who were present in the building at that time. The reason for this is as simple and straightforward as it is unflattering; I was completely psychologically incapacitated. I was not even physically present for much of the core decision making, since I was secreted away in the San Fernando Valley in the home of Alcor Director Brenda Peters, who kindly offered to care for me. This she did; seeing to it that I was fed, kept distracted by renting videos for me to watch when I was awake, and just generally being there to provide care and comfort. Those decisions which I can take credit for fall into two categories: the harshly criticized and the not commentated upon, except by me. The first was the hasty press conference that was held minutes after CNN and a blitzkrieg of media showed up at Alcor unexpectedly on Christmas Eve and relayed the fact that the Coroner had just accused us of killing Dora Kent! I was savagely criticized for saying” that we had made mistakes.” I don’t know if these criticisms were correct or not, because effective strategy in a crisis often involves not admitting you did anything wrong, even if you did. 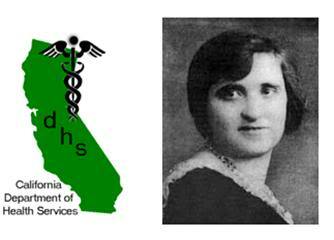 My “admissions” as best I can recall them now, consisted of acknowledging that 1) We should not have brought Dora Kent into the facility prior to medico-legal death and 2) we should have had a physician present when she was pronounced, given the unusual nature of cryonics (though this was NOT required by law). The other critical decision I “made” was not really a decision by me, but rather a recommendation to the Board – one which was subsequently acted upon after much thoughtful discussion. My father was an Indianapolis police officer for 30 years. He made Sergeant and he took pains to expose me to the harsh realities of police work and the justice system. I saw him arrest people out of uniform when he felt public safety was at risk, and I met, talked with, and listened to conversations with his colleagues about police work. Most people are still astonished that the police can (and do) lie to suspects and fabricate both credible and incredible stories to manipulate them into confessing – sometimes confessing to things they didn’t do. I witnessed such interrogations as a boy and, to be frank, they terrified me. To this day I wonder how many people are sitting in prison for crimes they did not commit, but nevertheless confessed to. While sick with the flu after the Dora Kent cryopreservation I was lying on the floor in my office upstairs in the loft at the Alcor facility listening to NPR’s “All Things Considered” when I heard Deputy Coroner Rick Bogan say that the coroner’s office was convinced we had murdered Dora Kent and that they were going to do everything they could to ensure that we were prosecuted to the full extent of the law. My reaction to that was that they were going to raid us and, at least take Dora Kent (cephalon) for autopsy, and possibly the other patients as well. My response was to move Dora from the facility and possibly to evacuate all the patients (i.e., convert the whole bodies to neuro, put them in to the A-2542) and move them to an undisclosed location. I didn’t feel I could make this decision as CEO, and in any event , it would have required the cooperation of everyone at Alcor. So, I called a special Board meeting and argued my case for both options. There were three other people on the Alcor Board at that time who were savvy about police procedures and were cynical enough, or realistic enough, to find my scenario of what was likely to unfold soon credible. They were Jerry Leaf, who had had extensive career experience in the US military with police in many venues, Paul Genteman, who was a “draft dodger” who had reentered the US from Canada under the amnesty program, and Carlos Mondragon, who had had his own experiences with the police and the justice system. The rest of the Alcor Board was, understandably, clueless. The Board made the decision to relocate Dora Kent – the more radical proposal to relocate all the patients was deemed too extreme. The raid I anticipated came a short while later and it left me incapacitated, and subsequently with PTSD. I had modest input into decisions made thereafter, but mostly those decisions were made by Jerry Leaf, Saul Kent and Carlos Mondragon in conjunction with Alcor’s attorneys, Chris Ashworth and David Epstein, of the law firm Garfield, Tepper & Ashworth. The reality of this change in leadership at Alcor was made public with my subsequent resignation as President and replacement by Carlos Mondragon. It occurs to me that you may be asking for a critique of the decisions I did make the led up to the Dora Kent incident; e.g., those decisions which preceded the 1986 Christmas Eve news conference. If that is the case, within limits, I am amenable to dissecting those decisions and to relating the history of those events. If I were to do that, I’d need to read Alan Kunzman’s book MOTHERMELTERS, which I have previously only skimmed. I don’t think it is the best use of my time, but on the other hand I don’t want to seem evasive. I made plenty of mistakes and I am not at all reluctant to catalog them, to the extent that I am able to do so.